The Border Collie temperament makes this iconic black and white herding dog a truly extraordinary working breed. Border Collies are exceptionally clever, hard-working, loyal and resourceful. They are still used on working farms in their native Scotland as well as other countries worldwide. 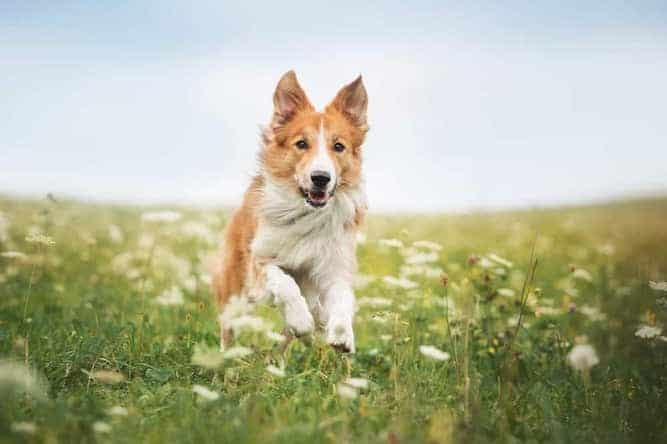 Border Collies dominate the world of canine sports—taking home championship trophies for everything from sheepherding trials to agility to disc dog to freestyle. They are equally unstoppable at obedience competitions. Many dog trainers and other canine experts consider this breed to be the smartest dog breed in the world. Television shows and movies like Babe have made this breed a household name, but what does it truly take to own one of the most intelligent dog breeds in the world? 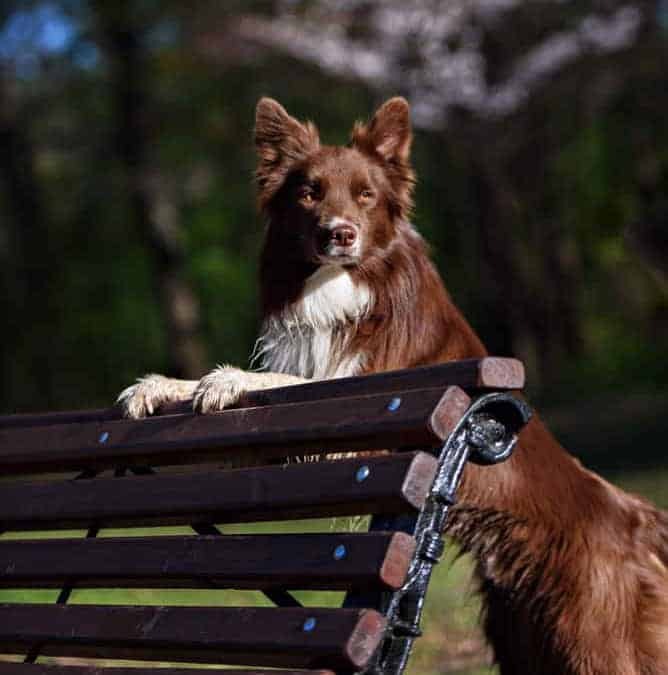 The Border Collie temperament and personality is not right for everyone. If you adopt a Border Collie, you will probably need to make some lifestyle adjustments. Make sure you do your research before bringing home one of these highly driven canine athletes. They are not the right choice for novice dog owners, but they thrive with experienced handlers who can meet their needs. There are countless examples of astounding Border Collie intellect. For example, a female Border Collie named Chaser learned a vocabulary of 1,022 words. She had the largest tested memory of any non-human animal in history. Needless to say, these dogs are very, very smart. If you own a Border Collie, you must commit to ongoing mental stimulation for their whole lives. A great way to challenge their intellect is through trick training and canine sports. You can also keep them entertained with food puzzles and brain game toys like Kongs. If you do not provide one, your Border Collie will devise its own project and it may not be to your liking. For example, it might be digging a gigantic hole in the backyard or chewing through your back door. Your Border Collie is not being malicious, he is just bored! If you own a Border Collie, you have to stay one step ahead of your dog and come up with new constructive outlets for his mental powers. Border Collies were bred to work with their masters from sun up to sun down. They are high-energy dogs with stamina. An afternoon walk might be enough exercise for some dogs, but not a Border Collie! 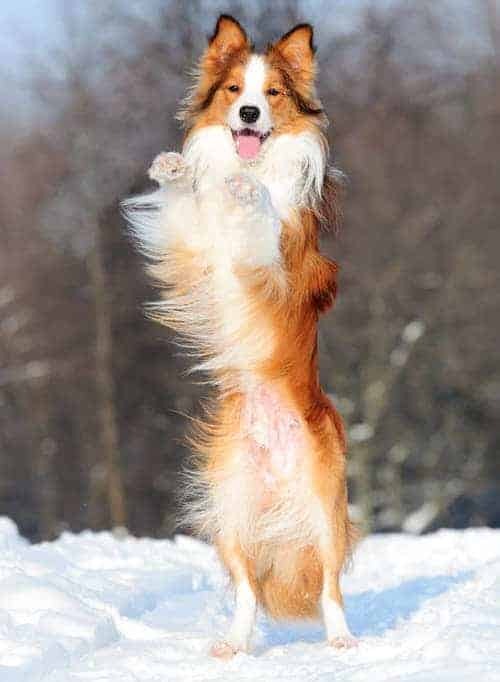 Young Border Collies need at least one hour of aerobic exercise per day. This could take the form of running, jogging, biking, playing Frisbee, or romping with other dogs. If this type of exercise regimen does not fit into your daily schedule, you might need to invest in doggie daycare or a dog walker. As Border Collies grow older and mature their exercise needs decrease slightly, but they never turn into couch potatoes! Border Collies bond deeply to their owners. They are often so focused on their masters that they will follow at their heels without a leash. Border Collies can make good family dogs, although they usually form an especially close bond with one person in the household. The Border Collie herding instinct is strong. This makes them hypersensitive to movement. They will attempt to herd fast-moving children, cats or dogs. Parents should be aware of this tendency if there are small children in the household and they should supervise all interactions. 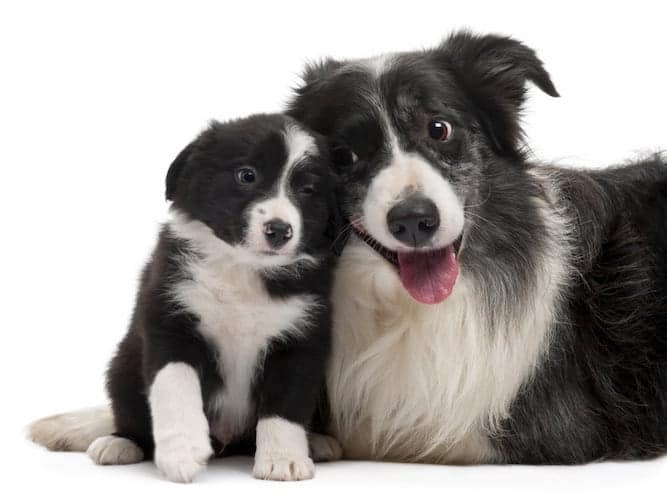 Although they are very devoted, many Border Collies are not especially “cuddly” dogs. This varies between individuals, but many Border Collies prefer to maintain some personal space—choosing to lie at your feet and keep watch rather than climb into your lap. Border Collies are very vigilant and alert. Sometimes they have trouble relaxing because they are constantly keeping an eye on their families. Some owners report that their Border Collies go from room to room at night checking on all members of their pack. Border Collies will bark to alert their owners to perceived threats. This breed has a tendency towards excessive barking, so overly vocal behavior should not be encouraged. One downside to their advanced intellect is that this breed can show a predisposition towards anxious or neurotic tendencies. This is not always the case, but owners should be on the watch for compulsive behaviors such as shadow-chasing or obsessions with moving objects such as ceiling fans. Separation anxiety and/or stranger phobia can also occur in this highly sensitive breed. If any of these behaviors manifest in your Border Collie, seek professional help from a veterinarian and/or behaviorist. In some instances, your veterinarian may prescribe an anti-anxiety medication. Border Collies are often described as intense dogs. As we have discussed, they are highly driven dogs that require more exercise and attention than an average canine pet. This phrase refers to the unblinking stare that Border Collies use to control flocks of sheep. “Hard eye” is useful when herding livestock, but other dogs perceive it as a threat. 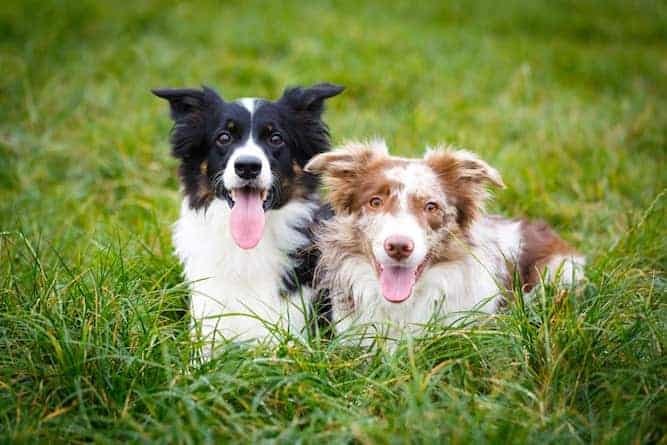 Border Collies frequently need extra training and socialization to learn to interact politely with other dogs. The American Kennel Club inducted the Border Collie breed into the herding group in 1995. However, Border Collies were around long before then. The breed dates back to the 18th century when wool farming was prevalent on the British Isles. The Border Collie breed originated along the English-Scottish border region (hence their name). Border Collies are very trainable. Training your Border Collie will make him a well-behaved companion and it will also keep him happy and mentally stimulated! Start with a basic obedience class or puppy kindergarten class. Make sure you find a trainer that uses positive reinforcement, force-free training. Never use harsh punishments or aversive tools (shock collars, pinch collars, alpha rolls) on your Border Collie. Border Collies are sensitive dogs. Once you shatter your dog’s trust it will be hard to earn it back. So keep training fun and positive. It will make the process more enjoyable for you and your dog. After your Border Collie masters basic commands, the sky is the limit! You can train your Border Collie to do just about anything. Border Collies are frequently used as service animals and Search and Rescue (SAR) dogs. The Online Dog Trainer by Doggy Dan a world-class Dog Trainer from New Zealand is worth taking a look at. 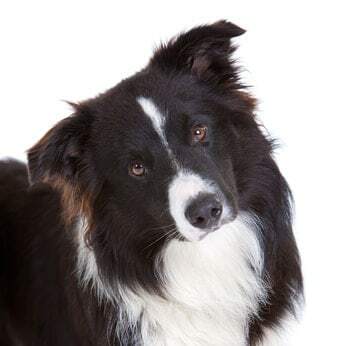 This online resource has hundreds of fun informative dog training videos that can help you learn the basics and more advanced techniques to teach your Border Collie. Although the stereotypical Border Collie is black and white, these dogs actually come in a wide variety of colors, sizes and coat patterns. Border Collie weight can range between 30 and 55 pounds. Their height can vary between 18 and 22 inches. Their coat can be smooth, rough or semi-rough. Color varieties include black and white, red and white, tricolor, red merle or blue merle. The blue merle Border Collie is especially rare and beautiful. However, it is important to select your pet based on temperament and personality characteristics rather than appearance. Their eyes can be either brown or blue. Sometimes a Border Collie will even be born with one blue eye and one brown eye. There is an alarming fad among unscrupulous breeders to breed “miniature versions” of popular breeds. Miniature Border Collies are NOT recognized or endorsed by the American Kennel Club or the Border Collie Society of America. Please do not purchase one. Irresponsible breeders create mini breeds through poor breeding practices such as inbreeding. They compromise temperament in the pursuit of novel physical characteristics. Yes, Border Collie shedding is heavy during seasonal shedding periods, but moderate the rest of the year. Border Collies require daily brushing during shedding season, and weekly brushing during the rest of the year. Long coated Border Collies need occasional trims from professional groomers—especially around the legs, feet and sanitary region. No, unfortunately, Border Collies are not considered hypoallergenic. If you suffer from allergies to dog dander, this breed may not be the right choice for you. Like all dogs, Border Collies need yearly checkups with a veterinarian. They also need monthly flea and heartworm prevention. 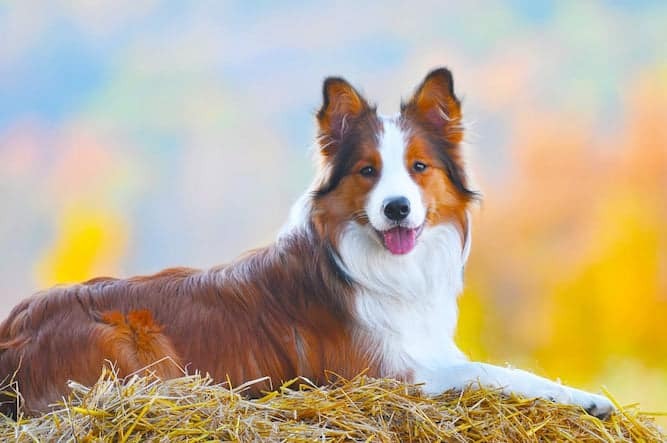 With good care, the Border Collie lifespan is between 12 and 15 years. Adopting a Border Collie is a very rewarding experience. Once you decide that a Border Collie is right for you, explore rescue options first. There are lots of beautiful border collies in shelters and rescue groups waiting for loving homes. A great place to start your search is with the BSCA Rescue Committee. They have an extensive list of Border Collie rescue groups by state and region. You can also visit your local humane society or animal shelter. Ask to put an application on file for a Border Collie or Border Collie mix. So not forget to visit national adoption websites such as Petfinder.com, Adoptapet.com, and Getyourpet.com. These sites will allow you to search for adoptable Border Collies within a certain geographic area. They will also allow you to set notifications so you will receive an email alert every time a new Border Collie for adoption is added to the site. Border Collie puppies are occasionally available through rescue avenues, but most of the available dogs are adults. Adopting an adult Border Collie has a lot of advantages. Older dogs are calmer than puppies. They do not require as much exercise or attention as growing puppies. They are less destructive. When you adopt an adult dog, you can get a better sense of the dog’s personality. For example, you can deduce if the dog has any tendencies towards anxiety or obsessive-compulsive behavior. If you are not sure that you have the time and energy for a young Border Collie, adopting an adult or senior BC might be the perfect solution! When you adopt through an animal shelter or rescue group, the adoption fee will generally be between $75 and $200 depending on the organization. Adopted Border Collies will come to you already spayed/neutered, vaccinated and vetted. If you decide to work with a breeder, take the time to make sure that breeder is ethical and reputable. A good starting point is the Border Collie Society of America’s Breeder Referral directory. However, the breeders on this list should still be thoroughly vetted. You will still need to make an appointment to visit the breeder in person. Never purchase any breed of puppy from a pet store or over the internet without visiting the breeder’s facility. If you do, you could be acquiring a puppy from a puppy mill. A responsible breeder will welcome your visit. Good Border Collie breeders want to make sure that their pups are going to high-quality homes. You may have to be patient while you wait for the right puppy. Responsible breeders will not overbreed their dogs, so they will not always have Border Collies for sale. Take your time to find a dog that will be a good fit for your home. If you choose to purchase through a breeder, the average Border Collie price will be between $600 and $800. Conclusion: Why the Border Collie? Border Collies are beautiful and brilliant dogs. However, the Border Collie temperament is not suited for all lifestyles. If you are not sure that you have what it takes to own the smartest dog in the world, spend some time getting to know the breed. Visit dog shows, agility competitions, and sheepherding trials. You can even sign up to volunteer with your local Border Collie rescue group. Border Collies are not for beginners, but they are one of the most fun and rewarding breeds for experienced, dog-savvy owners. If you have the time and energy for this breed, there is nothing better than having a devoted black and white shadow at your feet.